Going Rogue and Going Rouge: the coloring book – Can anyone tell the difference? Posted on November 19, 2009 | Comments Off on Going Rogue and Going Rouge: the coloring book – Can anyone tell the difference? 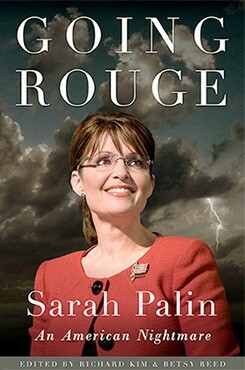 Sarah Palin’s memoir Going Rogue: An American Tale Life is on bookshelves now. David Letterman has offered a series of more enjoyable options to reading her story; like getting impaled by a rod and getting crushed by a dumpster. News sources have quickly begun fact checking her book and there are plenty. Even John McCain’s camp has challenged a couple of points from the book. Either way, it sits atop the best seller list. I know many books have been ‘sold’ in bulk sales but still many, many people are lining up to purchase this book. I’m certain her lemmings supporters will display this book proudly on their coffee tables and sit on every word written by ghostwriter Lynn Vincent (as told to her by Palin). Meanwhile, her detractors are lining up to buy the book in order to rip it to shreds. Regardless, it adds up to huge book sales for Palin – which is in no way a surprise. 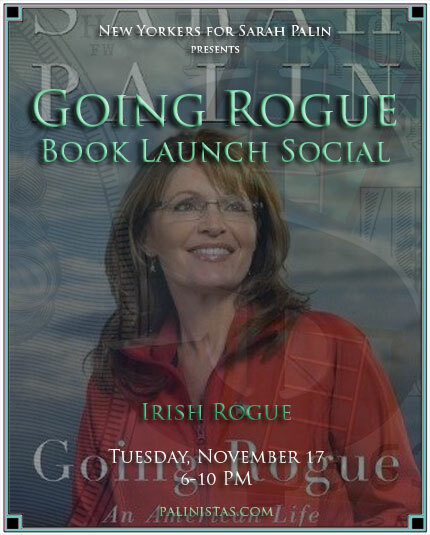 Here is an invitation to a ‘Going Rogue’ Book Launch Social. Doesn’t that seem like fun? Fact #1: I will not buy the book nor will I read the book. 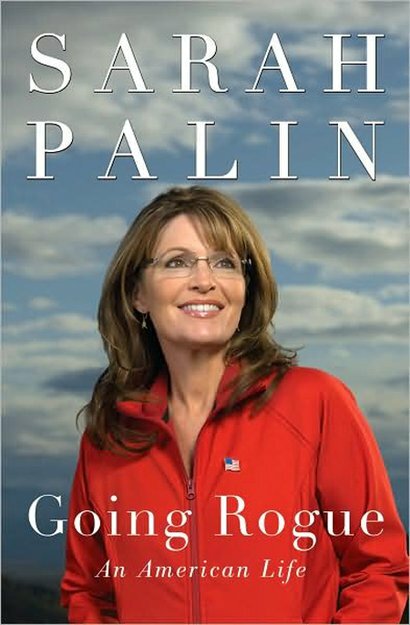 Here is a wonderful alternative: Going Rouge: Sarah Palin An American Nightmare which is a collection of essays written by 23 collaborators and was the innovation of the editors of The Nation magazine. Though the writing is probably right up my alley, I will not be able to sit for too long with this book nor would I be able to have this book displayed anywhere in my home. 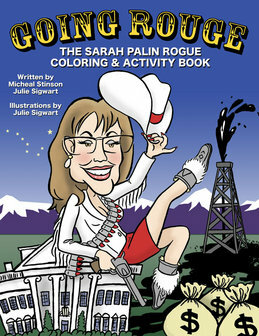 I suspect that her conservative base may mistakenly purchase Going Rouge: The Sarah Palin Rogue Coloring & Activity Book. This entry was posted in Democrats, McCain - Palin, Politics, Republicans, Sarah Palin and tagged Going Rogue, Going Rouge, Lynn vincent. Bookmark the permalink.